The second issue of IE:Studio aims to celebrate Making as a rich thread that runs through the design process. Building on the themes and questions generated by ‘Edges’ in the inaugural issue, we asked for papers to focus on the physical (three dimensional) aspect of making, and the kaleidoscope of resonant issues generated by this theme. Mark Gower is Course Leader of the Interior Architecture and Design Programme at the University for the Creative Arts at Farnham and is a Senior Fellow of the Higher Education Academy. Mark is IE Council Chair for Futures. Paul Kerlaff is Programme Leader for BDes (Hons) Interior and Spatial Design at Edinburgh Napier University and an internationally exhibited design practitioner. Making can be generative and experimental, investigative and analytical, or be descriptive and communicate intent. Through it we explore relationships between people, things, and spaces; without it, we would lack the means of creating places at all. The diversity of responses in this issue make a compelling argument for the relevance of making, not only to underpin practice; but also, to forge connections with others, induce critical reflection, and encourage speculation. What strikes us about these responses is the extraordinary capacity of making to talk about things beyond the made, and to bring about corresponding acceleration in pedagogical and professional development. Our issue begins with a hymn to the seductive powers of making as a design tool for students, designers and clients. In the first pages, David Fern of Middlesex University explains the importance of models within the context of professional practice, and how this can articulate a philosophy of making within higher education that connects to the wider world. Linking academia to local and international audience also resonates in Shibboleth Shechter’s three live construction projects in the Chelsea School of Art Parade Ground, fostering the collaborative and participatory skills essential to future practice in an ongoing collaboration with, amongst others, the architect Takeshi Hayatsu and the local community of Millbank. The impacts of such projects are clearly articulated by students who describe not only increased confidence in communicating ideas to a wider audience, but also wider gains such as long lasting personal and professional friendships. 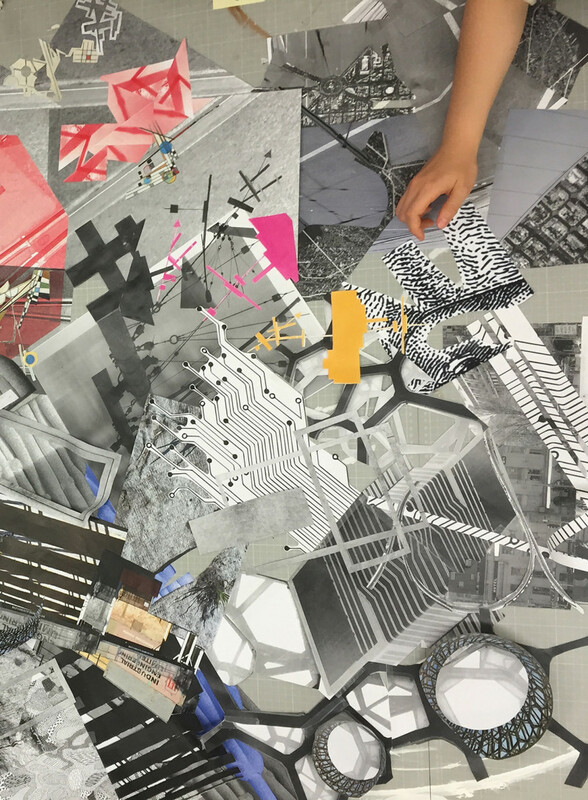 These observations illustrate a recurring theme in the responses – that of making in design education eliciting benefits far beyond the act of construction or assembly. Part of these benefits derive from the sheer visibility of made things – literally, ‘everybody sees’, as both Shechter and David Littlefield of UWE describe. But less tangible benefits suffuse the process of creating three dimensional things; David Littlefield notes the capacity of peer presentation of making in the design studio to elicit candour and honest self-reflection in students, a learning outcome that could never be written into a module descriptor. When we make things with students it means more than the stimulation of self-reflective development. Making offers the means to analyse the interior in ways that are not possible in conceptualisation, drawing and model making - a theme explored by Mark Gower from UCA and psychologist Dr. Elaine Kasket from Regent’s University London, as they analyse structural design projects which span not only physical space but cohorts, institutions, and time. These case studies talk about the scaled-up consequences of construction – and this ramping up of scale explicitly challenges our natural tendency to try and control the process. Dr. Roger Kemp, Raphael Kilpatrick, and Dr. Anthony Fryatt of RMIT explore the potential richness in this dilemma in a photo-essay about opening up the design process to unknowns. Skills in decision-making, teamwork and ‘fluid’ emotional intelligence are augmented by a fundamental shift in student role from responder to speculator. In keeping with this theme, Janette Harris of the CASS describes how developing haptic skills encourages ‘speculative and divergent’ ideas to emerge in the student body. Finally, Andy Milligan from DjCAD picks up this thread in describing how making strategies can explore issues of intellectual and creative ownership, act as an antidote to digital dependency, bypass anxiety about drawing capabilities and above all, provide an explicit sense of achievement. We are astonished by the divergent but also resonant themes explored by our contributors and we hope that our readership find much of value in the pages which follow. As a window into the kaleidoscope of ‘Making’ in higher education, we aim for this issue to function as a roadmap for future projects that positively charge the significant art of making within the interior design studio.